Plus the last time she felt burned out. Sadie Lincoln: I feed my two rescue pups Sprout and Diego. SL: Barre3 class and especially the last five minutes of breath work. I never leave depleted. SL: Hand to heart. Deep inhale. Exhale with an audible sigh. Repeat three times before presenting, confronting conflict, or speaking about something I care about. It instantly grounds me in my body and in my voice. SL: We are working through a dynamic of codependency. I am the self-aware addict in this relationship. Yes, it currently sleeps next to me in “do not disturb” mode. I realized last year that my phone was pulling me away from focusing on people who matter most to me. Specifically, I noticed that it was hard to give my kids the focus they deserve when my phone was in my hand. There is no greater sign of respect than giving someone your unwavering focus and attention. I make it a daily practice to put my phone in a drawer during family time now. SL: I prioritize them by how time sensitive they are and how long they take to answer. The ones that take 5 minutes or less I answer during dedicated email time. The ones that are more involved go in a folder that I do my best to conquer when I can focus. All the rest of my emails hang out together with thousands of others piling up. SL: I make tea. Green during the day and herbal in the evening. SL: I am going to start with the why because reflecting on this question I realized the root cause of most of my burn out has a common theme. I am burned out because I am working outside of my natural strengths as a leader, and I haven’t empowered the right people to lead where I miss. I recently hired a strategist who in 1 week has helped me articulate our vision, mission, values, and growth strategy in a cohesive one-sheet. Although I have a clear vision for barre3, I struggled for years (and certainly suffered from burn out) to come up with a distilled articulation of our strategy that other stakeholders could use. SL: The last time was when one of my leaders left barre3. I felt like I failed her. I have so much pride in our workplace culture. I strive to create a place where everyone can reach their full potential. I overcame this feeling of failure by coming to the realization that I was attached to the idea that barre3 would be her dream job as long as it was mine. This is of course not realistic or rational. Letting go of this unrealistic expectation is part of my meditation practice these days. I think it is important to point out that not many leaders talk about the many emotions that are experienced when key team members move on. We are taught to be strong and move on. I think it’s important to also hold space for sadness, regret, frustration, and feelings of failure. Building company culture is like any other relationship. It takes open communication, trust, vulnerability, and resilience. Working through all these feelings is what enables us to be strong and move on. Sadie Lincoln is the co-founder and CEO of barre3. 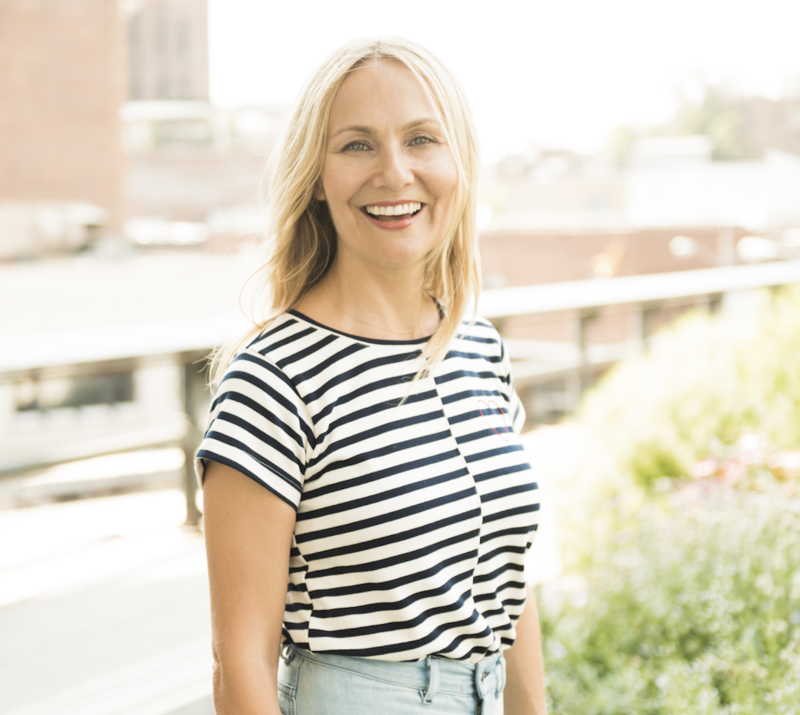 Beginning with her flagship barre3 studio in Portland, Oregon, Sadie created a unique style of whole-health fitness classes committed to mind and body results. Her modern approach offers accessible programs and inspiration for balanced living. Barre3’s worldwide franchise locations and Online Workouts have attracted A-list celebrities, everyday parents and major publications such as Fast Company, Self, Nylon, and Entrepreneur. Sadie began teaching group exercise 20 years ago while attending UCLA. She was awarded a Graduate Assistantship from the College of William & Mary, where she developed and ran the group fitness program while earning her master’s degree in higher education administration. Since opening her first studio in 2008, barre3’s innovative, results-driven workout and whole-body-health approach are breaking new ground. In addition to more than 120 studios around the globe and 250+ do-anywhere online workouts (that are viewed in 98 countries), barre3 offers hundreds of delicious, whole-foods-based recipes, a thriving digital magazine; and an annual retreat that inspires healthy, balanced living.